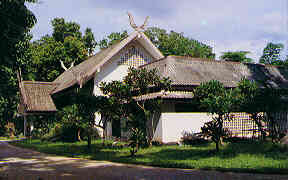 The Chiang Saen National Museum was established in 1957 as a centre of art and archaeological objects found at Chiang Saen and its surrounding. At the beginning, the old Sala of Wat Chedi Luang was used as the museum until 1981, when the museum was allocated a budget to complete the building as planned. The Chiang Saen National Museum is situated at the ancient city of Chiang Saen. One of the most important cities of Lanna Kingdom, admist large numbers of archaeological sites, both prehistoric and historic periods. The main purpose of the collection is to emphasize history, art an archaeology related to human settlement, tools and equipment from prehistoric down to historic periods. First Section presents: The location and history of settlement at Chiang Saen, Stucco from Wat Pa Sak, Lanna Buddha images in Chiang Saen style, Stone inscriptions, northern Thai ceramics in Chiang Rai and other related ceramics. Second Section presents: Important monuments in Chiang Saen and excavation and renovation of ancient monuments in Chiang Saen and also its surrounding area. Third Section presents: The Mekong River, religious objects, folk art of the northern minority groups in Chiang Rai, such as Tai Yuan, Tai Yai, Tai Lue and various hilltribes. Museum Hours: Open on Wednesday - Sunday 9.00 AM. - 4.00 PM. 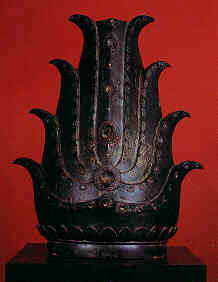 Photo: Flame, Lanna art, 16th century. Retrived from the Mekong River. 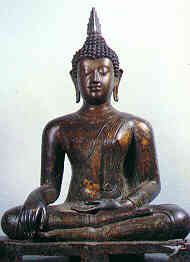 Photo: Buddha Subduing Mara, Lanna art, 15th - 16th centuries. From Wat Phra Chao Lan Thong, Chiang Saen District, Chiang Rai. 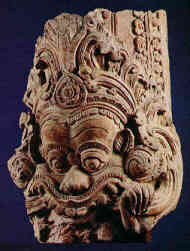 Photo: Gala Face, Lanna art, 14th - 15th centuries. From Wat Pa Sak, Chiang Saen District, Chiang Rai. 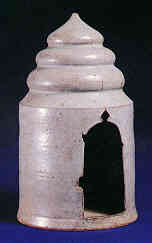 Photo: Monochrome White Glazed Buddha Shrine, Lanna art, 15th - 16th centuries. Wiang Ka Long kiln, Wiang Pa Pao District, Chiang Rai. Photo: Container, Burmese art, 19th - 20th centuries. 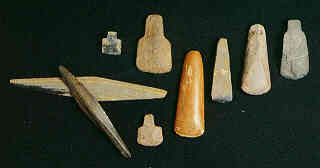 Photo: Polished Stone Tools. Prehistoric period in Village Farming Society. Found at Chiang Saen. Photo: Chiang Saen National Museum, Chiang Saen District, Chiang Rai. 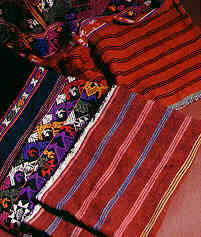 Photo: Tai Lue Clothes, about 30 - 50 years old. 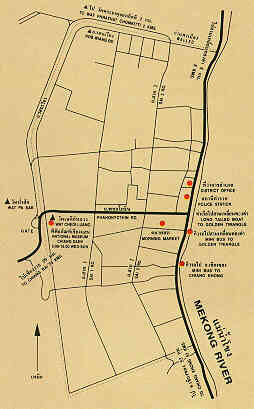 From Ban Had Bai, Chiang Khong District, Chiang Rai. Click here to visit the Guest Book of Thailand online !